Sharks have been getting a bum rap for centuries. Just because they’re killing machines with Herculean strength in jaws filled with hundreds of chillingly razor-sharp teeth doesn’t mean they can’t help you out when tension is running high. You may not want to put your hand in one of these misunderstood fishies’ mouths, but what about dipping a finger or too in their nostrils for therapeutic purposes? Shark Snot Fidget Putty looks like it could have come straight from a shark’s nose, and you get to play with it, because, well, stress. 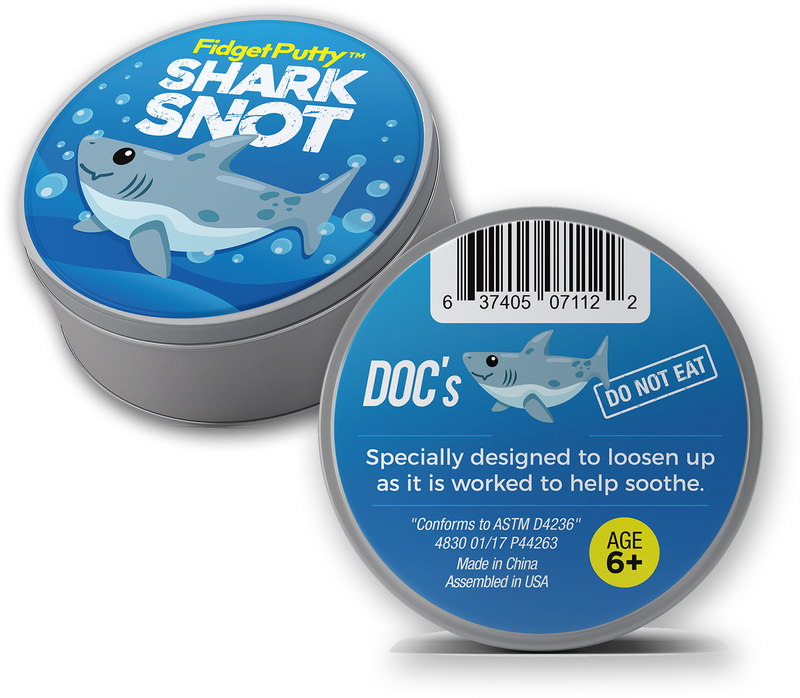 How dangerous can some shark boogers really be anyway? Go ahead…reach in…if you dare! 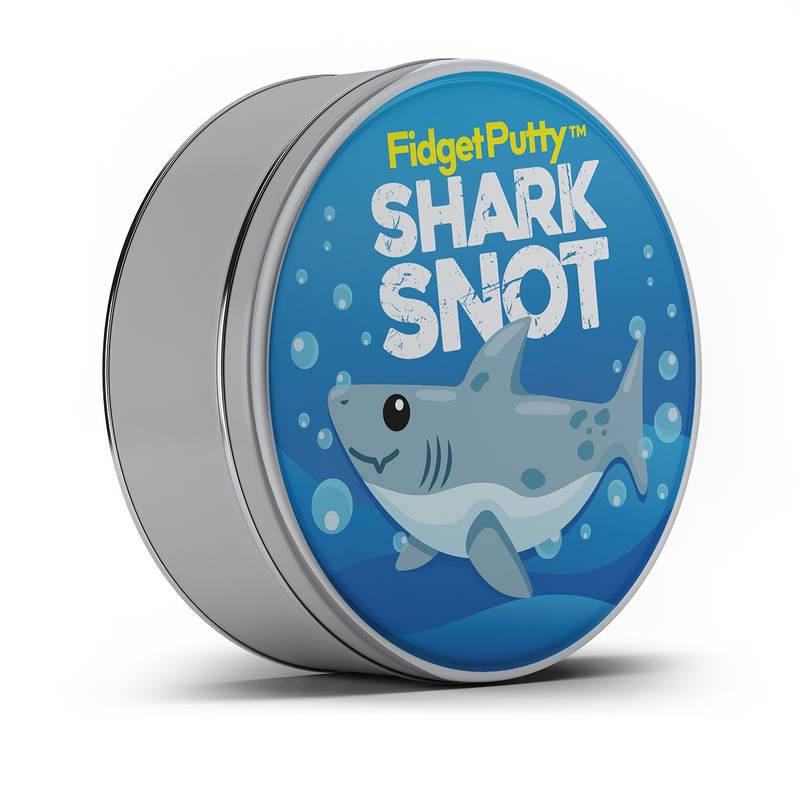 Shark Snot Fidget Putty comes in a cute shark-themed tin that is appropriate for kids and the forever young-at-heart. It’s small enough to fit in a desk, purse, or favorite hiding spot at home, school, or the office. When you have shark-sized stress, take out the putty and watch tension swim away. The worries of the day will squish through your fingers wherever stress hits, and you’ll walk away feeling relaxed and collected in a way that only comes from playing with high-quality stress relief toys like shark boogers. 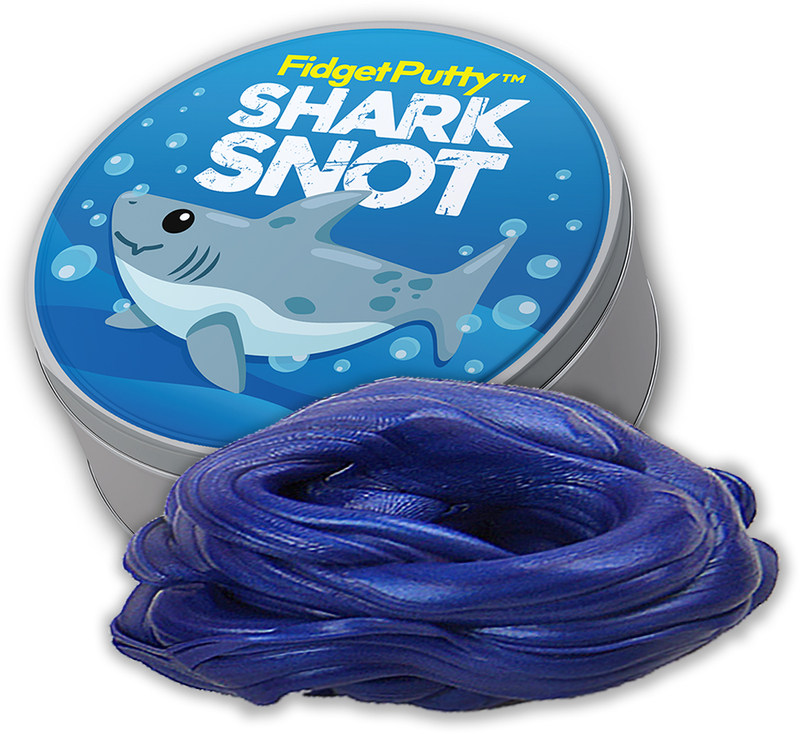 Shark Snot Putty is the perfect unisex gift for the family shark fan. 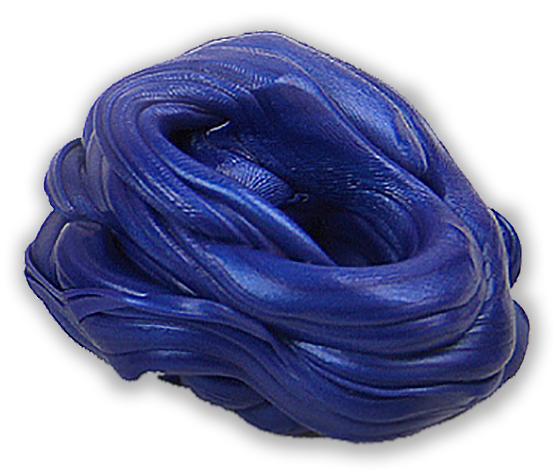 Surprise friends and family with beautiful, ocean blue stress putty that can take a bite out of daily stress. It’s a fun addition to care packages, gift baskets, birthday presents, Christmas stocking stuffers, or holiday school gift exchanges. It also makes an awesome teacher gift!